These American avocets are using their elegant, upturned bills to sweep the surface of Utah’s Great Salt Lake for insects. Here, about 250,000 American avocets—more than half the population—have been counted along the lunar landscape-like shore. Using population data on nearly 600 avian species and several climate scenarios from the International Panel on Climate Change, Audubon scientists modeled how current ranges might shift over the century with rising temperatures and evolving precipitation patterns. While some species might expand to new areas, others could lose ground. The report is “a wakeup call to figure out which species to pay attention to, and it gives us some sense for where we might take action to protect them,” says Gary Langham, the lead researcher and Audubon’s chief scientist. The report doesn’t focus on how climate change could affect bird habitats such as Great Salt Lake. But other research suggests that climate change could alter the lake and its surrounding wetlands, which many shorebirds, waterfowl, and wading birds use for breeding, refueling during migration, and in some cases wintering, according to John Cavitt, a zoologist at Weber State University who studies birds on Great Salt Lake. *This article was updated on September 16, 2014 to reflect the following corrections: The second caption identified Great Salt Lake as an UNESCO World heritage site, but it is not one. 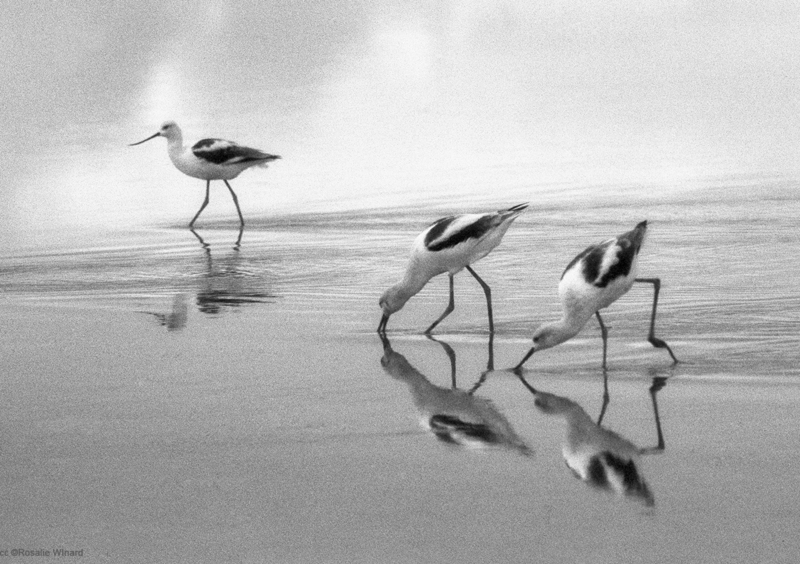 Also, the article incorrectly stated that half the American avocet population breeds along the shore. Not all of those birds breed there (they might be stopping to refuel).